One lucky person will win the 3 mentioned products above! #1. 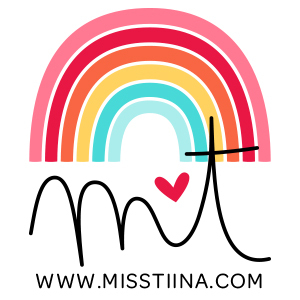 Like the Miss Tiina Facebook page. #2. Like the Lawn Fawn Facebook page. THEN… come back to my blog and leave a comment below on this post! One comment per person please and if you don’t use facebook, you can still comment below for a chance to win. I will randomly pick ONE winner from this posts comments and announce on September 16th! 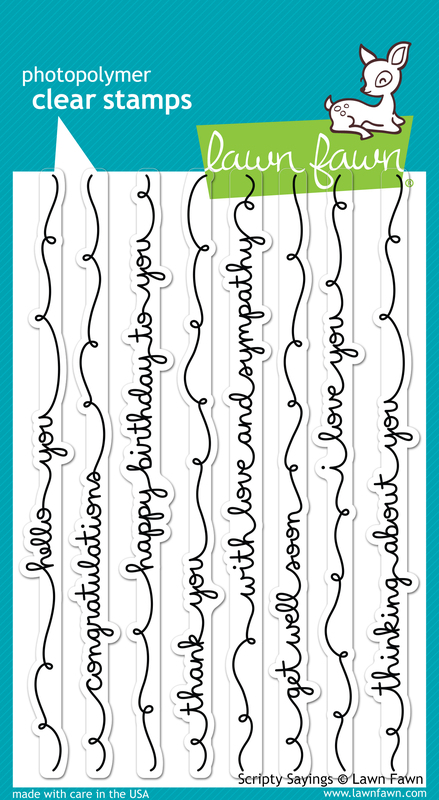 Here’s a beautiful card by Kelly Marie Alvarez (Lawn Fawn owner) using one of the sentiments!! See more projects using these stamps on the Lawn Fawn blog!! I already “like” both your FB page and Lawn Fawn’s! Love the stamps and dies! I liked both your FB page and Lawn Fawn’s. Such great products! I am already a “liker” of yours and Lawn Fawn! Thanks for the chance! I already like both pages! :) I love the new sentiments and word dies. So much fun! Love the new Scripty sayings! i liked both FB pages and left comments :) keeping my fingers crossed. thanks for the chance yo ein them! I love the scripts! They would be great for my Christmas cards! I already “liked” your page and now I have “liked” Lawn Fawn’s page. Congratulations! They are lovely ???? 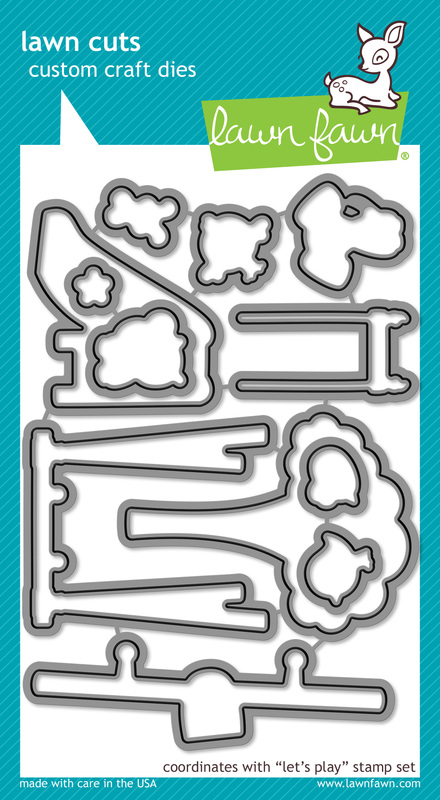 You create the most fun, adorable things!! 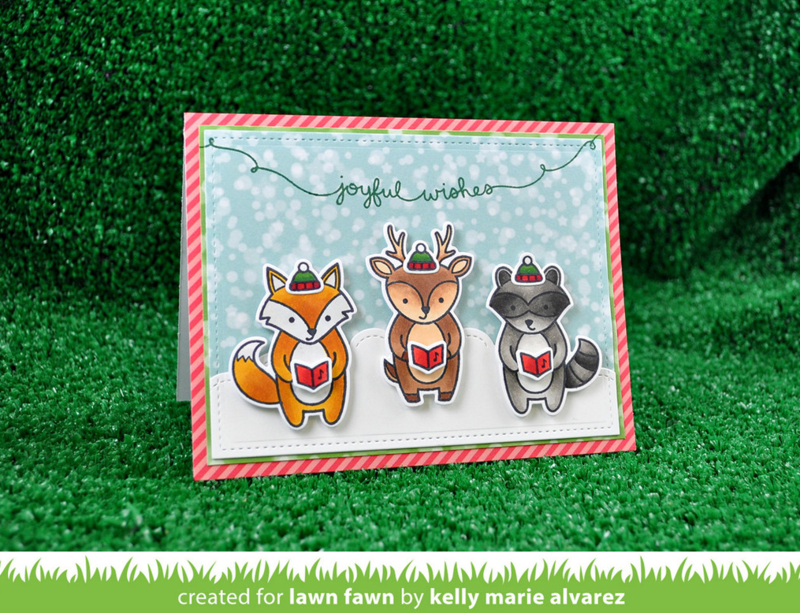 Lawn Fawn Stamps are so adorable! I love the new scripty sayings. 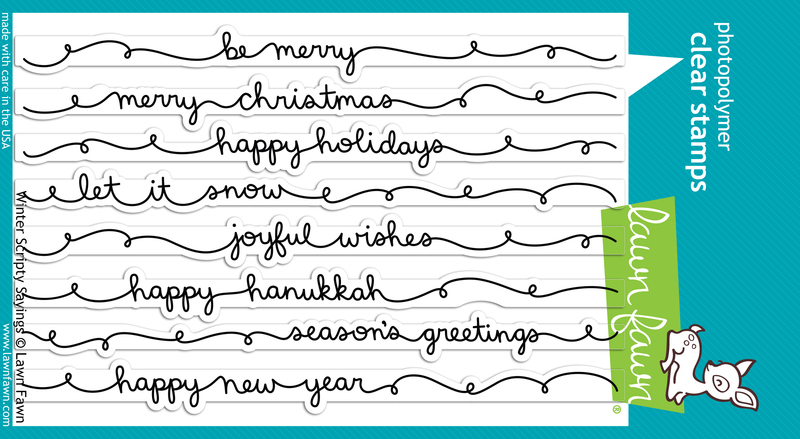 Kelly Marie Alvarez your card is so sweet :) I’m a follower on both Facebook pages. Love love love!!! Liked your Fb and followed u on Pinterest, Instagram.. 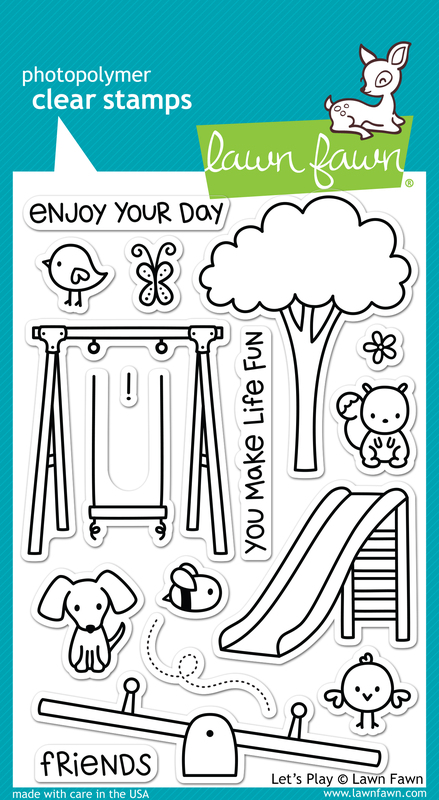 These stamps are adorable and you are amazing! Absolutely adore these and of course follow you and now Lawn Fawn on Facebook. Thank you for all the inspiration. love love love all your work!! I want to win!!! love it!! and tiina you are with us in our home helping us to be organized every month with your lovely calender!!! love you!! thanks!!! 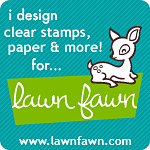 Oh I love lawn Fawn stamps, I didn’t know you designed those. I’m a facebook fan of both pages. These are so cute and lovely!!! I’m a fan of both FB pages!! Thx for the chance!! Those are absolutely adorable. I liked both pages. Thanks for the giveaway! I love them! I hope I can get at least one of these! Fan of both pages! I love your stamps. They are cute! Unfortunately, I’m not on facebook but I’m happy I found you through another blog I follow (I Teach, What’s Your Superpower). Your stamps are awesome! I liked your FB page and can’t wait to check our Lawn Fawn! Thanks! Love your designs. These are adorable!